I can feel every aspect of my game stepping up as a result of getting these new blades because now I have to really focus on what I want each shot to do. There's so much more control and feel; You definitely know it if you don't strike it pure. My focus in general is much better because there's no forgiveness of a perimeter weighted cavity back to bail me out, lol. My ball flight is lower and even though there's not much forgiveness, I can feel huge strides coming in how I'm hitting the ball. It's motivating for me to get that feedback you get when you hit them totally PURE, really encourages you to get good. 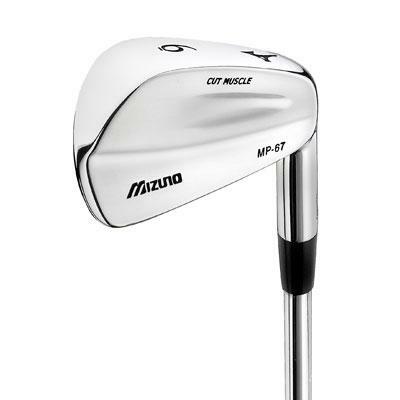 well i tryed these when a mizuno rep brought them to my local club.Today in a shop in Cuerdly i was starting to realise about how small the heads are as the irons progress towards the 3 iron.Does anyone own a set nd if so would you recomend me changing from my mp32s to the mp67s? The design looks nice. Just wondering how 'big' they are heel to toe. I'm using a Tourstage model now, and love the size h/t of the tourstage? Any one have some thoughts on that ? Cut muscle is smaller than 32's. More cosmetic than functional. This is a blade! More rewarding if you can handle them. I heard that these are a full club shorter than the 60s. Mizuno's got a true player's club on their hands.. but is there any truth to the distance difference. I hit a Callaway 6 iron x tour and mp 60 on a launch monitor and it them both 215 yard. Then I hit the mp67 and hit it 235 yards w/ about the same ball speed. The launch angle was about 2 degrees less w/ the 67 and the 67 was 15-20 feet lower. I have not had a chance to hit them outdoors yet, but when i do I'll let you know how they do in "real world" distance. /cheesy.gif' class='bbc_emoticon' alt=':cheesy:' /> These clubs are just so good, i tried the clubs out today at an indoor custom fitting session at the stockholm golf show. Tour van and all. These and the MP-32s are gods gifts to golfers. I honestly think i get a better hitting pattern with these than with any other club. My current Cally X18 can not compare in feel, and honestly, it hurts my soul every time i hit a bad shot and find the green with those. Some day the MP-67s will be in my bag. It is rather strange that I, a 13hcp Swede would be able to play clubs like these, but I didn't hit a bad shot with these during the session. I can't believe the wonderful feeling i get every time I swing one of these. I will probably get a custom fit set of these soon, as soon as I can find a new job. Oh yeah, my current X100 shafts will probably be of better use in the garden later this year, s300 is a better option for me but I will try out a few other options before doing anything. If I buy these clubs, I will use them until the clubs break of the hosel from wear. Never new clubs again. The difference in distance is the loft of the club. Standard loft on a 5 iron is 28 degrees. That is what the loft is on the mp67. The mp60 and32 loft on the 5 iron is 27 degrees. That is why it doesnt go as far. Well, then you should get a little more roll out of the 60s and 32s on the fairway, right? I have to say these are the best all round irons, including numerous tour issue heads, I have ever hit (on a range). Picked up a set today with NSPRO GH950 Stiff. Could do with something more robust if you're going to hit at the ball but with a smooth swing these things get out there long and consistently to yardage and direction. A joy to work and actually very easy. Playing them on the course tomorrow so will report back but the initial signs are very promising. And, BTW, I don't think these heads are significantly less forgiving than MP 32s, if at all. Would be very surprised if the tour staff don't start playing these irons. I have finished my demo process on the MP60 and the MP67's. I have had the demo's in my bag for the last 2 weeks, and yesterday I spent a good 4 hours on the range with these two clubs hoping to finalize my decision on new clubs. I played two rounds with the clubs in my bag, but nothing beats a side by side comparison at the range. The choice for me is the MP67's. Although both clubs are beautiful to look at, the 67's just continue to feel consistently better. Ball flight is a nice consistent soft draw and the feel at impact is just pure better, and surprise, better than the 60's. I wanted to to like the 60's, and I actually have been fitted for them but they just don't feel as good off the face as these 67's. I also notice that the distances are similar even though the lofts on the 60's is slightly stronger for the 6 iron demo that I've been using. The 67's will replace my Ping ISI blades and all is good in the world. I'll go with TTDG S-300 shafts, and 1* flat on the lie, with each club 2* strong. Awesome, I can't wait to get the sticks. Will you be keeping the shaft length at standard while you have the lie adjusted to 1 deg flat? Also, just wanted to clarify, you're going to have the loft adjusted on each club to be 2 degrees stronger? I was just wondering because my current clubs are 1/4" short and lie is 1* flat. If I were to keep the length standard, I'm wondering if I should go 2 deg. flat. BTW, I'm 5'6". May I ask what your static specs are? I just purchased these irons this weekend at a demo day and let me tell you these irons are SWEET!! Originally I thought the MP-60's would be a better choice because I am only an 8 handicap but I was wrong. Both clubs feel good but the 67's setup is a bit more appealing and ****, it just instills confidence at address. I was swinging the 6 iron at a consistent 97 MPH and also turned a bit more to get a ss of 103 MPH. On average my carry with the 67's was 191 yards (the 60's were 198 but they are also a degree stronger in loft) with a ball speed of about 125 MPH which was very good. Also, I hd 3 balls in a row that had the same speed and flight characteristics with the 67's and that was what put them over the 60's, I was much more consistent with the 67's. I naturally draw the ball and the lie angle tape said Id need a lie angle of 2* upright but the rep said that 1* would be better because 2* might make the ball draw more than Im used to and what is desired by my game. I also got the Dynamic Gold S300 shaft at standard length. They should arrive next week and will be playing that weekend, Ive never been more excited to play golf! Having played a few rounds in varied conditions I would say these heads are pretty darned good. 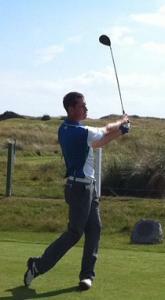 The NSPRO shafts will have to be pulled as they are a bit wafty but the heads deliver. Look: These two irons look great. By themselves they really stand out in a crowd. But if you put the MP-67 next to the s58 from the back, its great nickel plate finish with a brushed/polish finish really catches the eye. 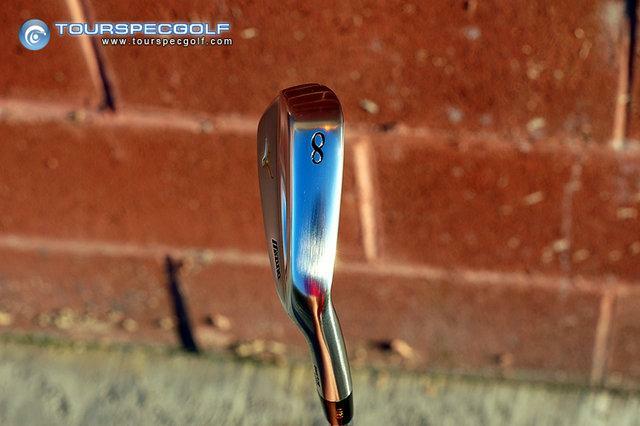 However, the s58 catches the eye with its advance player/cavity appeal. Really depends on personal preference. I would call this a tie. Standing over the ball I have to give the advantage to the MP-67 simply for the reduced offset, especially in the longer irons. Both sets frame the ball very well with a low blade profile and a fabulous ferrule-to-hosel transition with a wonderful blade shape. The MP-67 still has that rounded toe in the PW and 9-iron that bothers so many, but I actually like it. Distance: This was surprising to me. Even with the s58 being at least a degree stonger I had no noticeable difference in distance. I am sure this comes from a higher center of gravity, causing a slightly more penetrating trajectory. But the thing that gives the Mizuno the win is this category is the uncanny ability to control your distances. Even after just two rounds I can control the distance well enough with the PW to totally eliminate the GW from my bag. Which opens up room in my bag for another club. I really like that. Playability: MP-67 wins this category. The reduced offset in the longer irons make them much easier to manipulate. When you are a very good iron player like myself I want complete control every shot, regardless of which iron I am holding. The MP-67 gives me the control I want throughout the set. Forgiveness: This shouldn't be very important when someone is shopping for these two irons, but it really is. No one hits the ball perfect everyday. The s58 wins this category. For a player/cavity they are very forgiving in the long irons. You can't get away with murder. Maybe just a little assault and battery. No major different in distance with toe shots or shots hit slightly low on the face. However with the MP-67 a toe shot loses at least a club and a half distance. With thin shots performing a bit better, but not great. Overall: I pride myself in my iron game. And I love the durablility of the Ping product. However the Mizuno irons will allow me to shoot lower scores. After only two rounds I have managed to get my distance control down to within 2-3 yards with the short irons and around 5 yards with the longer irons. With distance control being one of my strengths and the fact I don't need the added offset or forgiveness, I think I have found the irons to take the place of my s58's. I threw darts a pins the past two days with the precision I haven't experienced since I last played MP-33's. I love the s58's. Both sets are great irons, but the MP-67's remind me of my really great days as a junior with my MP-14's and later the MP-33's. 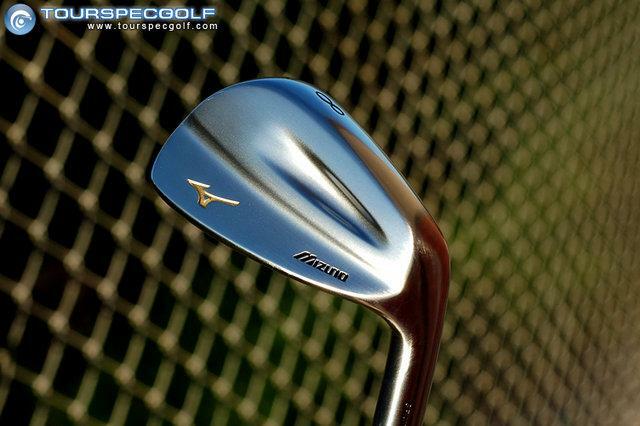 What about your Ping wedges, will you consider the Mizuno Mp-R wedges ? I am already in the process of figuring out the loft/bounce combinations to go with in the MP-R wedge. I have considered dropping the 52 and go with a 54/58 combo. However I have used the 52/56/60 for my whole life and I am quite deadly with that combo. But I would like to drop the extra wedge so I can carry my 3 iron. Maybe even go with just a 56/60 since I seem to be able to control my MP-67 PW good enough for those little 120-115 yard shots that I used my gap wedge for. Also I want to try to keep the s58's together with the wedges, unless I decide to sell them. any way I could get something like that? Tour Spec Golf can do a custom order for you. Have now played a few dozen rounds with mine and it's all good. Much as I love dragging out the MacGregors from time to time, nothing beats the 67s for getting the ball round the golf course. I have had some for about a month and love them, great workability and control. Here are some specs if anyone wanted to know. I ordered the 9 and PW because I thought they would be shorter than my MP-60s but this is not the case with me, they were longer. I have since ordered the 6, 7 and 8. You need to remember while the loft is slightly weaker the COG is higher so the distance really shouldn't change much. I think mine maybe be longer because I am a high ball hitter and the more penetrating trajectory maybe giving me a touch more distance. I found the post by littlepingman very interesting. I went from a set of MP67s to the S58s. Are you still playing the MP67s? I just received the new MP 67 (DG 300s) this week and yesterday I went to the golf range to try them out for the first time. They came new in the box at a great price from Ebay (specially if you translate it to Euros). My first impresion was a bit negative...I put them to test with my Titleist 690 CB (which they are suposed to substitute in my bag) and believe it or not I found the Titleist softer (although shorter). The MP 67 felt not as "buttery" as my MP 37. I was having problems hitting them solid. 2 Ball Tour filled and lined 35"
Okay, I work at a golf store in North Carolina and It really was a black Friday, No one was buying anything and I had plenty of time to demo clubs. I came across a set of Mp-67's and grabbed the 6 iron and got on the launch monitor and put some tape on it and hit it with probably the best swing that I could put on a golf ball and it actually felt like the ball went through the club head and there was a little mouse shape hole in the club that the ball was fitting through. I have never hit a softer Iron than these. I think these are so much softer than my old Hogans I loved for so many years. I work Tommorrow and when I go in the first thing im doing is putting in a order for a set of Mp-67 2 degrees strong in all irons. standard lenghth and lie. Simply the best Iron that has ever....or should I say will ever embrace being in my bag. There awesome, go out and buy them!